You can disconnect your PayWhirl account from Shopify in a few short steps. First navigate to the "Apps & Integrations" page in the main menu. Click "Delete" next to the Shopify store you want to remove. Once you have completed this you can remove the App in Shopify. 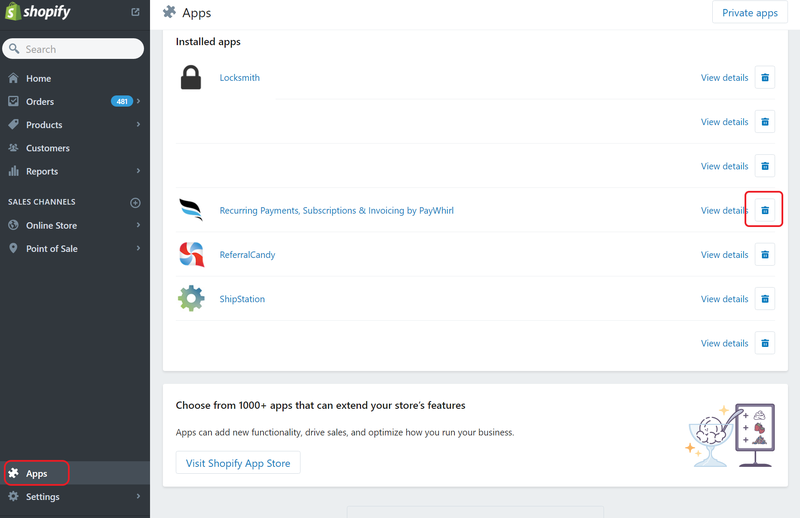 Navigate to your Shopify admin and click on the apps section. Click the trash can next to PayWhirl to finish removing the app.